Destiny is a delightfully fun game. It's so fantastic that its flaws are magnified tenfold, defining the frustrating gap between what Destiny is and what Destiny could be. I’ve been traveling quite a bit lately, and whenever I travel, my PS Vita comes along with me. This has very little to do with the games on the Vita itself and everything to do with the way Remote Play grants me constant access to the copy of Destiny installed on my PS4. The reason I need constant access to Destiny is because of Xur. 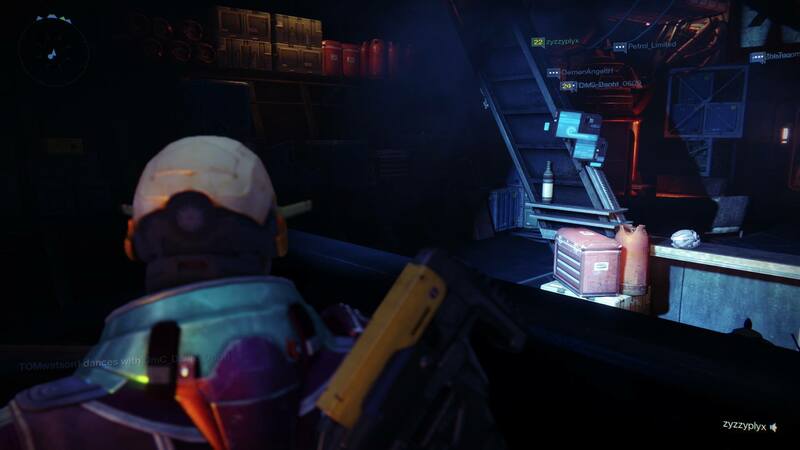 If you haven’t heard of Xur (and I wouldn’t blame you), he is a vendor that only appears on Fridays and Saturdays. He sells a new selection of very nice “exotic”-grade equipment each week and there’s no way to see or buy from his inventory unless you track him down in his latest hiding spot each week. Finding Xur often involves checking every dark corner of the main player hub. So there I am each week, sometimes in a hotel room across an ocean, sometimes at home with my PS4, always securely hooked on ensuring that I never miss Xur’s latest offering. But at the same time, I’ll readily admit that Destiny is a terribly flawed game. It’s the most flawed great game to come out this year. Most every part of it outside of the core combat mechanics is flawed in some way. There’s pretty much no story. Every story beat seems to exist only as an excuse to motivate gameplay action. There’s no real sense of wider progression or meaning. Missions are unbelievably repetitive. While the latest expansion has shaken things up slightly, the vast majority of missions use the same basic structure and limited set of mechanics. The world feels dead, and not in the atmospheric, post-apocalyptic sense. The only hub area has a max player count of 16, and the open exploration areas hardly have anything in them to actually explore. Player interaction is minimal. There’s no text chat, and voice chat was originally restricted only to people in your fireteam. There’s no trading or global economy or shared loot. But the reason these things are problems is precisely because Destiny is such a great game. There is such potential — and such intense fun to be had when it work well — that as a player of Destiny you can’t help but wonder what the game could be if it didn’t have these flaws. 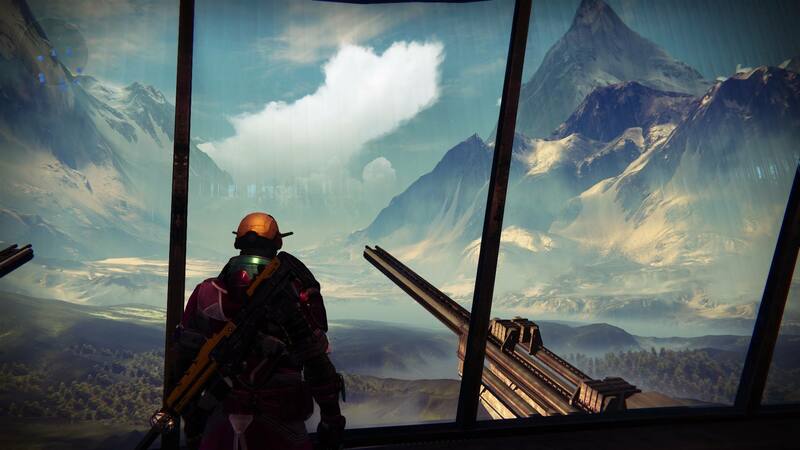 Destiny promises the world to its players, and sometimes delivers. The core combat loop. Shoot, melee, grenade, charge up your super, use your super, repeat. It’s a straightforward set of actions, but they combine into combat that is tremendously satisfying, with a surprising amount of variety. That feeling when you hit an enemy’s weak point. Destiny really nails the positive feedback mechanic. When you hit a weak point, you feel your bullets connect, and when you take an enemy down, you get a satisfying burst of explosive activity. High-end raiding. By all accounts, the high-end raid content is the best, most varied, most interesting content to be found in Destiny. Unfortunately, I haven’t tried it, because it’s rather difficult to get a group of 6 people together to play Destiny, but this high barrier to entry is itself actually rather awesome. Gorgeous visuals and an exquisite soundtrack. Destiny looks lovely, and sounds lovely as well. Marty O'Donnell's sweeping, epic soundtrack pairs perfectly with the game's tremendous visual impact. Xur. A mysterious NPC who comes back every week, always hiding in a new spot, and always carrying a potentially compelling array of goods? Yeah, I’ll take one of those in my space shooting game. Above all, the fact that Destiny is really fun to play undercuts almost every aspect in which it falls short. Yes, Destiny is full of glaring flaws, but those flaws are only obvious because they exist within one of this year’s most compelling experiences.